Dr Angéla Kóczé is Assistant Professor of Romani Studies and Academic Director of the Roma Graduate Preparation Program at Central European University, Budapest. Previously, she was a Visiting Assistant Professor in the Department of Sociology and Women’s, Gender, and Sexuality Studies Program at Wake Forest University, Winston-Salem (N.C./USA). She was the principal investigator of a research project (2013–16) on the institutionalisation of Romani politics after 1989 in Hungary, funded by the Hungarian Scientific Research Fund. 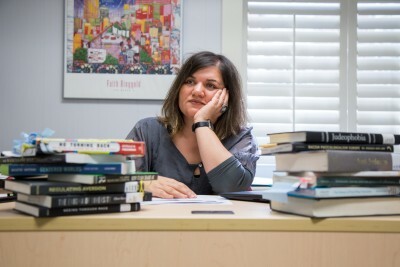 Her research focuses on the intersection of gender, ethnicity, and class as well as on the social and legal inequalities of Roma in various European countries. She has published several peer-reviewed academic articles, chapters in books by various international publishers (including Palgrave Macmillan, Ashgate, and Central European University Press) as well as several policy papers on social inclusion, gender equality, social justice, and civil society. 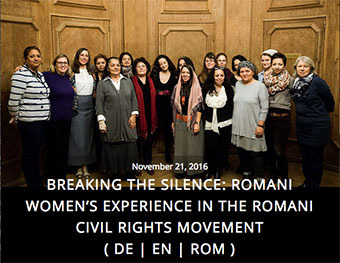 She is currently preparing a book on the political representation and social struggles of Romani women in Europe. In 2013, the Woodrow Wilson International Center for Scholars in Washington, D.C., honoured Dr Kóczé with the Ion Ratiu Democracy Award for her interdisciplinary research approach, which combines community engagement and policymaking with in-depth participatory research on the situation of the Roma. Outside academia, Dr Kóczé worked as a senior policy adviser to the Hungarian government, was a director of the Human Rights Education programme at the European Roma Rights Centre, and was the founding director of the Romaversitas programme in Budapest, which offers scholarships and mentorships to underprivileged students. Angéla Kóczé received her BA from the Teacher Training College of Budapest, her MA in Sociology from Eötvös Loránd University Budapest, and her MA in Human Rights as well as her PhD in Sociology and Social Anthropology from Central European University, Budapest.